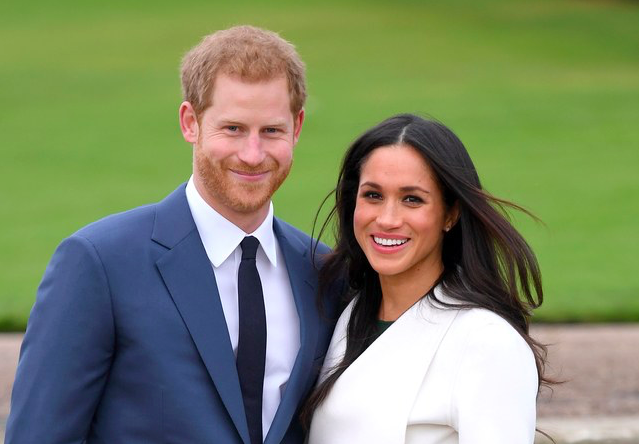 I know this is a bit off-piste for the Field Day blog but we have all the Royal Wedding excitement here in the office and the question of schedule and timings has been constantly asked. To save all the googling and the awful adverts and videos you need to watch when you go to any newspaper websites, we thought it might be useful to provide you with a quick and easy to read list of what's happening and when, this Saturday....all ad free! Early Morning :Meghan Markle and her mum Doria Ragland will travel by car to Windsor Castle. 9.30-11.00 : Guests will be arriving between 09.30am and 11.00am at the Castle's famous Round Tower by coach and will enter the chapel through the South Door. 11.20 : Members of the royal family will begin to arrive, entering St George's Chapel via the Galilee Porch, by foot or car. 11.45 : Harry to arrive at the Chapel's west steps with his brother the Duke of Cambridge. 11.59 : Meghan Markle will arrive at the Chapel's west steps by car with some of her bridesmaids and pageboys. 12.00 : The Royal Wedding ceremony will commence in front of 800 guests in St George's Chapel in Windsor. The Dean of Windsor will conduct the service and The Archbishop of Canterbury will officiate as the couple make their vows. Lady Jane Fellowes will give the reading. 1.00 : The ceremony will end and the happy couple will emerge from the chapel. They will be waved off on their carriage procession through Windsor by members of both families. This procession will take about taking 25 minutes. The congregation will head to St George's Hall for the lunchtime reception hosted by the Queen. 7.00pm : Bride and groom will depart Windsor castle for the evening reception at Frogmore House hosted by the Prince of Wales. You can watch the action on ITV, between 9.25am and 3pm, and on BBC from 9am until 2pm. Sky One is also covering the event from 9am to 3pm. Oh and we wish we could tell you that Harry and Meghan have Field Day candies as their wedding favours for this royal wedding...but sadly, they don't but do contact us if you would like to have our candles at your wedding!